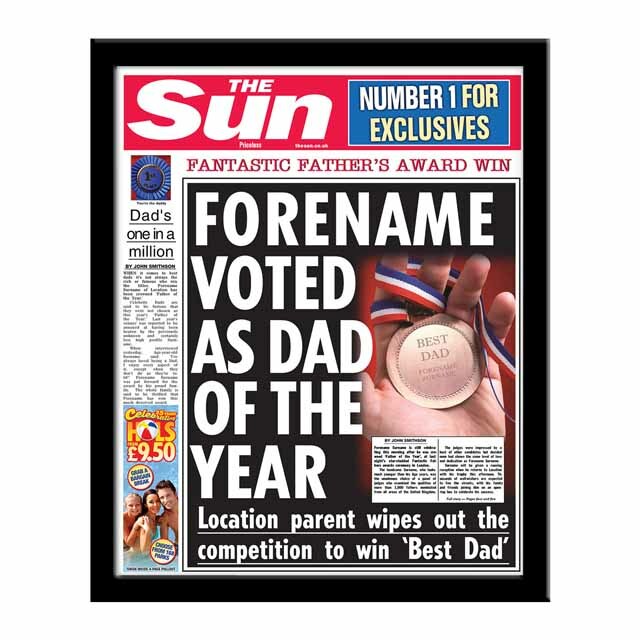 Let your Dad know how much you care with our personalised Dad of the Year Sun newspaper!. 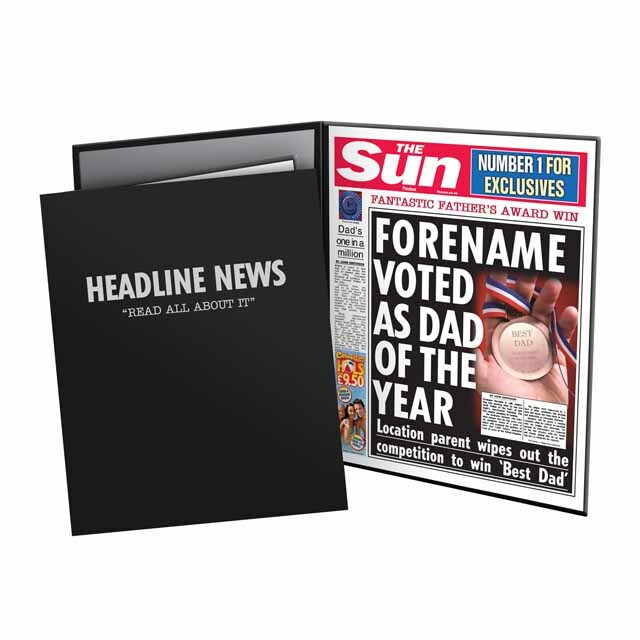 Let your Dad know how much you care with our personalised Dad of the Year Sun newspaper! We merge your chosen details throughout the article, secondary article, headline and sub-headline. A unique gift that is sure to impress your Dad whatever the occasion. Printed in full colour onto authentic newspaper style paper.